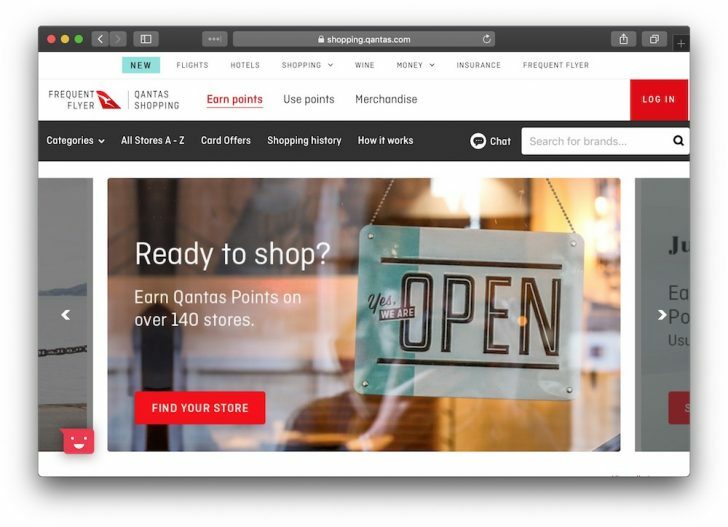 Qantas Shopping (formerly Qantas Online Mall) is Qantas’ version of an online shopping portal, allowing Qantas Frequent Flyer members to earn points on purchases from a large range of partner retailers. 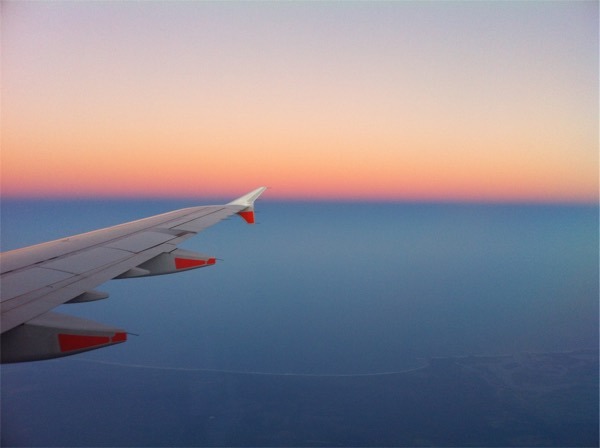 In this guide, we cover off the basics and key retailers for Australian online shoppers to help you earn more Qantas Points. This is a quick overview of Qantas Shopping for those who aren’t familiar with the concept or the retailers in it or want a refresher. What used to be known as Qantas Online Mall was rebranded as Qantas Shopping in mid-2018. The move was in line with the changes in other Qantas brands aimed at making it easier for members to understand the products or services being offered under each brand, which in this case is online shopping. Qantas Shopping is no different and launched back in 2014 with just a handful of retailers, and has now grown to more than 130. You can find it at shopping.qantas.com. Other online shopping portals like the Velocity eStore, KrisFlyer Spree, Asia Miles iShop and Cashrewards also carry some of the retailers and are key ways to earn points or cashback from online purchases. 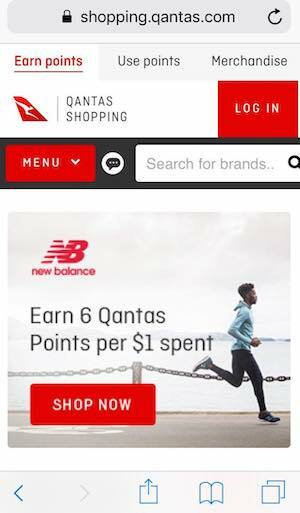 The main way to enter the shopping portal is to head over to the Qantas Shopping website on a desktop, laptop or tablet. One advantage of Qantas is that they have mobile-optimised their portal. This makes it, I’d say, about twice as fast to get into the online store you’re purchasing from if you are on your mobile, which is pretty handy. 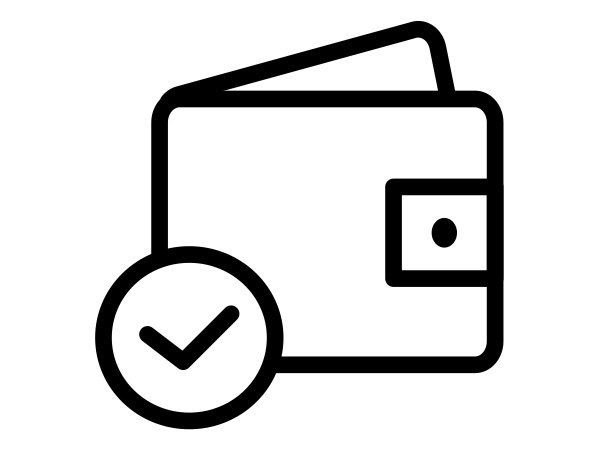 In February 2019, they also introduced the Qantas Shopping Points-Prompter for Chrome and Firefox users. It is a browser extension which alerts you of points-earning opportunities when you’re on an eligible site. Qantas Shopping is a very usable option if you’re looking to earn more Qantas Points from your online spending — so get across the full list of partners over on the Online Mall site to see if there are any that work well for you. Have had issues with purchasing through Online mall in the past. The confirmation email “Thanks for shopping through the Online Mall” is hit and miss. Got one for a purchase on eBay, not for Kogan. Same day, same computer. Be prepared to contact Qantas FF to chase points. sorry for the question on an old article, but what happens if you logon to the store from your phone and then when going into ebay it opens the app? Will points still be recognised? Also thanks for the advice, saved over $150 on a laptop with Cashrewards. Just wondering…what happens when you return items purchased through Online Mall (or Virgin e-store, etc)? Do they monitor this at all and take the points off your balance? Seems like you can easily purchase a whole pile of stuff from say theiconic and just return for free for a points boost? Yes, most retailers will approve points to credit to your account only after their refund policy has expired, which is why the waiting period for online mall purchases to credit is usually quite long. I double checked and you are right, it was an AU Ssite compared to an US site. I went through online mall to see how much it would be for apple ipad 2. Seems like there is a price hike so customer pays for extra pounts. I hope other consumers are shopping around before falling for the points promo offers!! That hasn’t been my experience with any of the online malls, and especially Apple who I am pretty certain don’t price discriminate based on where you’re coming from. Possible that you were looking at a different spec iPad or maybe US vs AU site? It’s been this way for a while. I am having the same issue. I have only received the 5 points per $ from my David Jones purchase. Last year I received 5/$ after the 30 days (6th of January) and the the other 5/$ 2 days later (8th of January). This year the bonus points are yet to credit. Has anyone received the bonus points as yet (from David Jones or any other retailer)? I am still waiting on my points from DJ’s too from late November. I will be waiting until end of Jan and then following up. I have heard others are starting to trickle through. I have received the standard points for my David Jones purchases for the Christmas promotion. Does anyone know if the bonus points should apply at the same time as the standard points, or do they arrive in my Qantas account later? I assume you mean that you received the Online Mall points from DJ’s into your account, and not from a card like the DJ’s Amex first? If just the online mall, the bonus points would normally credit at the same time – I would follow up with Qantas and try and push for this to be adjusted. My apologies if there was a double up with my mails re David Jones,, but my 1st post was not showing on the page presented to me when I checked. Disappointing! $500 price rise on Qantas Mall/David Jones, double point promotion item. Seems that this promotion is payed for by the customer, through the nose. A $500 overnight increase, on the day the promo starts, for a TV I was going to buy, from $2974 to $3499, overnight. that I was going to buy, was $2974 yesterday. Today, which happens to be the start of the promotion, it’s $3499! Seems that this promotion is payed for by the customer, through the nose. Some Bonus promotion David Jones! Does the online mall for David Jones include e gift cards? Do you mean include them as a payment option? I would also like to know this – can I buy online at David Jones via the Qantas Mall, and use e-gift cards? I’d like to stack 5.5ppd via buying e-gift cards with Qantas Cash Card, on top of the current 10ppd at David Jones for 15.5ppd. Any insight would be much appreciated! I don’t wanna get stuck with an e-gift card I can’t use! Additionally, if the e-gift card is $250, and I want to buy something for $270, can I simply pay the extra $20 with a CC? Just remembered as well that Ad-Blockers can really mess up these referral programs, so best to disable them before being referred out etc. The AA mall kindly pops up a notification message to warn you about this if it detects anything funny in the background, but I haven’t seen that sort of message at any other online mall (correct me if wrong). Could be a trap for new players. I’ve went to the website and found out that there should be 4pts/ AUD at the Apple online store. Yes, that’s the case under this bonus promo until Oct 11th, but usually 2 points per $. Table should now be sortable!